Jen Harley Claims Ronnie Magro Kept Their Baby Daughter From Her – Makes Texts Public! Things are getting more and more dramatic between the two Jersey Shore stars! After Ronnie Magro took to social media to post a shocking picture of his bruised face and black eye, supposedly a result of Jen Harley’s violence towards him, the woman is now claiming her baby daddy kept their daughter from her! 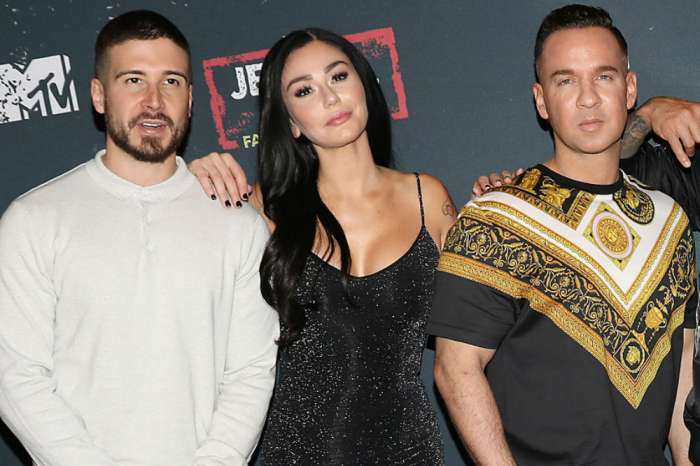 As fans of Jersey Shore know, the two revealed that they had rekindled their romance and that they were going to couples therapy. Their decision to get back together followed a scary fight that involved Jen dragging Ronnie with her car! But it looks like things took a turn for the worse once again when Ronnie shared a pic in which his bruises were visible. ‘It was double sided and [that] post made it look like it wasn’t,’ Jen argued.